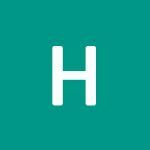 Heather Cumins International - HCI Communications Ltd is an Export Consulting company with a forte on International trade/Export Support Services, Human Resource Management/Training, Project Management and Procurements. We provide Agro-Export trade Training, networking and consultancy services for individuals and organizations. We provide market entry support services and can literarily take our client's products through the distributive market channel to the final consumer. HCI Communications Ltd has an excellent stock of trained and experienced project managers; as such we handle projects that require professional project management specialties.